6 October 2014: After New Zealand’s leftist and environmental parties performed disappointingly in last month’s general election and thus failed to replace the centre-right National Party government, Celia Wade-Brown, the mayor of the capital Wellington, has become one of the most prominent and influential progressive politicians in the country. Born in London, she moved to New Zealand while still in her 20s. 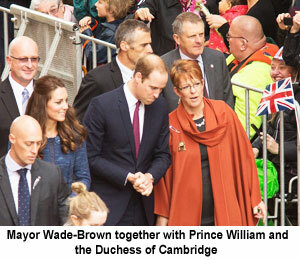 Celia Wade-Brown described her arrival in Wellington on 8 August 1983 as the best thing that happened to her in the lottery of life. Becoming mayor of her adopted city in 2010 will probably rank as a close second. In that election, the incumbent centre-right mayor Kerry Prendergast believed she had narrowly been re-elected only to learn two days later that she had lost to Celia Wade-Brown in Wellington’s closest ever mayoral race. In 2013, Wade-Brown won re-election by a more comfortable margin. Mayor Wade-Brown’s political journey began when she participated in local, mostly environmental, campaigns and later joined the Green Party of New Zealand. Subsequently, she was elected to the City Council for the party in 1994. She served several terms as a Green councillor before leaving the party in 2009 in order to contest the mayoralty independent of party affiliation. Previously she had contested unsuccessfully two national elections for the Greens. Since becoming Mayor of Wellington four years ago, Wade-Brown has been working on expanding the Wellington brand beyond just being known as the cool southernmost capital in the world. She wants to create a smart city  not just smart because it’s all wired up but because smart people live in it and want to move there. Like her predecessor, the mayor has been worried that the city’s commercial base has not been growing fast enough for a number of years. She is acutely aware that a stagnating economy can quickly lead to population losses and points to cities in northern England and America’s rustbelt. The Mayor believes that a city that wants to attract smart capital and smart people must be international in outlook, creative and caring. Wellington is used to natural disaster and, in the Mayor’s words, can do natural disasters. It is now one of the best-prepared cities in the world, where even water bottles carry the message ‘You may be alone for three days’. But Wade-Brown says the best-prepared communities are those where neighbours look out for each other. Dubbed New Zealand’s poster girl for cycling, Mayor Wade-Brown wants Wellington to be a cycleable and walkable city. “Cycling should be safe, convenient and enjoyable,” she says. She added that more and more people also choose to live in downtown Wellington where all that was needed for day-to-day living was only a few steps away. On top of the Mayor’s list of big ideas for Wellington are a runway extension at its international airport, a high-tech precinct, an indoor concert venue and a film museum. The film industry already employs some 5,000 people in studios on the Miramar peninsular where the Lord of the Rings trilogy was shot and the filming of Avatar sequels will start soon. The Mexican film director Guillermo del Toro described the facilities as ‘Hollywood as God intended it’. Mayor Wade-Brown and the city council support a runway extension at Wellington’s international airport, arguing that it would allow larger, wide-bodied airplanes to link the city with the most important commercial centres in Asia and North America. Presently the airport’s runway is shorter than those of many purely domestic airports in New Zealand and single-aisle planes, such as the Boeing 737 or the Airbus A320, cannot take off at their maximum take-off weight. Wide-bodied jets can only land and take off in exceptional circumstances, often with only very few passengers. An economic impact study carried out by Ernest Young (EY) concluded that the direct economic benefit to the Wellington region, between 2020 and 2060, would be up to NZ$684 million (US$532 million / €424 million) and would deliver up to NZ$1.75 billion (US$1.36 billion / €1.1 billion) economic benefits for the whole of the country. “Travelling times to many international destinations would be cut by a third,” adds the EY report. There has been opposition to the runway extension mainly on environmental grounds but the economics of the project have also been questioned. New Zealand’s government has not yet committed any taxpayer money and no airline has yet said it would choose Wellington International for new routes to Asia or North America. City Mayors: The New Zealand Green Party traces its origins back to the Values Party, formed in 1972. What made you decide to join the Greens rather than the National Party or the Labour Party, your country’s two dominant parties? Mayor Wade-Brown: Before subscribing to any political party, I joined several anti-nuclear events and objected to factory farming and the destruction of biodiversity. I met a Green councillor when I was leading a beach clean-up after the birth of my first child. When we discussed our aspirations for a healthier future, she suggested I stand for the Council. I looked at the principles of the Greens - Ecological wisdom, Social justice, Grassroots democracy and Nonviolence and they matched my values well. I stood successfully as a Green councillor a number of times. Once I decided to stand for Mayor, I wanted to show that I could lead a Council that included a variety of political views, some explicitly Labour and some independent or closely aligned to National, as well as working with whoever led Central Government. I therefore ceased to be a formal member of the Green Party in 2009. Most parties have some elements of good policy and, at a local level, individuals from different ideologies can work on practical answers to city issues. I also wished to be directly accountable to the people of Wellington. City Mayors: In 2010 you were elected and in 2013 re-elected with relatively small majorities. Will you, in your second term as mayor, attempt to convince a greater number of Wellingtonians that you and your policies are right for the city? Mayor Wade-Brown: The 2010 election was the closest the capital has seen. My majority increased in 2013. In Wellington elections we have Single Transferable Vote these days so I was preferred by a majority. Compare this to 2001 when the previous Mayor was elected under First Past the Post with 34% of the vote. We survey the public on the major budget decisions. Issues where I have strong support include the convention centre, the digital (film and IT) economy, the airport runway extension to enable direct flights from Asia and North America, cycling infrastructure improvements, library investment, the Arts and smart energy initiatives including solar panels in schools, electric car-share, crowd-sourcing renewables and a generally liberal and inclusive approach. During the election campaign various slurs of inaction and allegations of being unaware of certain matters were made and while I rebutted them, some mud stuck! For example, there was considerable controversy stirred up about advertising for (and ultimately choosing) a new Chief Executive. However, the feedback on his appointment has been overwhelmingly positive. The only way to address criticism is to deliver effectively on projects that matter. Community projects such as school swimming pools, local orchards, walking and cycle track improvements were ignored by local media which focused on the personal politics, although these modest improvements to the city were a fiscally appropriate response during the Global Financial Crisis. Now we are ready to invest in a number of city projects. City Mayors: During your first term you and your colleagues had to deal with outspoken criticism of the city from the central government. There have also been spats with the regional council leader. Do you have confidence that current proposals to enhance the city will go ahead and that collaboration with other tiers is getting better because of those projects? Mayor Wade-Brown: I have considerable confidence in the ability of our city council employees and our partners in the private sector to deliver the following projects  our Big Ideas  a convention centre, a film museum, an indoor concert venue for 12000 or so, a tech precinct to grow our weightless economy. Prime Minister John Key has conceded that Wellington is more diverse and successful than his comments in May 2013 indicated. We meet regularly. We have both enjoyed supporting the Exhibition that Sir Peter Jackson is developing to commemorate Gallipoli and other World War One centenary events. We are also collaborating with Central Government on redevelopment of the Cenotaph and the 150th anniversary of Wellington becoming the Capital. City Council, Regional Council and the NZ Transport Agency have agreed to work together on Bus Rapid Transport, road and cycling improvements. Recent government cycling promises ($100m over four years for urban cycleways) show they are developing a more inclusive approach to transport. There are still tensions and I also have reservations about two tiers of local government in a relatively low population. Our urban populations generally have a liberal and somewhat left-of-centre worldview. City Mayors: In the 1990s you stood twice for parliament. Are you contemplating, now that you are one of New Zealand’s best-known female politicians, to re-enter national politics after your second term as Mayor of Wellington? Mayor Wade-Brown: No. I’m enjoying working for Wellington City with many different partners from education, business, science and our communities. As Mayor of the Capital City I meet and can support an amazing range of people  including international artists and musicians, kind-hearted community gardeners, supporters of the homeless, international biodiversity experts and entrepreneurs with new ways of seeing the world and solving problems. These days progressive cities are leading action on innovation, smart energy and close partnerships with the third sector to address social ills such as violence and homelessness. We are in a better position to act while national agreements can get bogged down. City Mayors: New Zealand’s Prime Minister John Key said a year ago that Wellington was dying economically. Indeed, the relationship between the government and Wellington city council has been somewhat strained. What are your economic development plans for the city and can you expect any help from the government? Mayor Wade-Brown: Our economic plans are ambitious and include promoting the Coolest Little Capital in the World overseas for business, education and tourism. We will invest in a new convention centre and that fits well with this government’s investment in promoting New Zealand as a convention destination. The government investment to underground State Highway One for the national Memorial Park took significant funding (over $120 million) and the recent news of the WW100 Museum exhibition partnership builds on that investment. We are working with Ministry of Business, Innovation and Employment on innovation and hi-tech precincts and appreciate the way the Government’s incentives helped secure the Avatar movie sequels for Wellington. In New Zealand, councils have considerable autonomy in setting development rules, budgets and priorities so I can lead many positive progressive developments whoever is in power. I’m discussing the transfer of a significant area of land that is government property to a jointly appointed trust to enhance the recreation, biodiversity, military heritage and appropriate development with senior government officials. The Minister of Housing and I have agreed and signed a Housing Accord for appropriate growth areas in Wellington. If a different government is elected, we will be able to move faster on rental housing standards. We still need more work on persuading this Government to invest their share in a runway extension to enable direct flights to major Asian hubs. I do have a concern that the interest of the partially state owned airline could run counter to this region’s interests. In downtown we are investing in laneways and city streets that will add value to a number of projects. The Whitireia/Weltec polytechnic development that brings creative and IT students into the funkiest street in NZ  Cuba Street  will overflow into Victoria Street and we propose to add parks and trees, sculptures and traffic calming to tame the speeding vehicles that divide our central city. We are working with leading multinational companies including Microsoft, Google and NEC to increase our hi-tech growth. City Mayors: Lawrence Yule, the President of Local Government New Zealand, called on the country’s new government to implement a national strategy to foster economic growth in "all of New Zealand  its cities, regions and provincial New Zealand". To what extent do the country’s cities work together to stimulate growth and ensure that smaller towns and cities benefit fairly? Mayor Wade-Brown: Our metropolitan Mayors and CEOs work closely together on policy affecting local government, including housing, regional development and immigration. Uncontrolled growth in Auckland can be relieved to the benefit of NZInc by incentivising immigration to other centres. We share information on overseas delegations and business friendly guidelines. Mayor Len Brown and I shared a platform in Singapore. Our cities are different and both have their attractions. Our Wellington Regional Strategy includes a focus on the food and wine produced in Kāpiti and the Wairarapa. The Wellington airport extension will benefit the top of the South Island as well as Wellington. The Rimutaka cycle trail and the Mountain Bike Capital project will bring a range of tourists to experience our superb trails  from Makara Mountain Bike Park  ten minutes from the CBD  to the wild Akatarawa and Wainuiomata adrenalin tracks. Working with businesses like Shimano, based in one of our sister cities Sakai, will add value and international visibility. City Mayors: Even though New Zealand’s economic development minister claimed before September’s general election that the country’s regions were outperforming the country’s largest city Auckland, is it not the case that cities like Wellington will, economically, always play second fiddle to Auckland? Mayor Wade-Brown: Wellington’s GDP per capita of $57,941 is significantly higher than Auckland’s at $49,217 and the national average of $47,532. We have a highly educated population, as more than 30 per cent of our residents have a tertiary qualification compared to the national average of 15 per cent. The population of NZ is so much less than many cities in Asia and Europe that we must work together as a country. Auckland’s sister city in US is Los Angeles while we are developing a relationship with San Francisco. We work to our strengths, cooperate where we can and are huge rivals in sport! Much of Auckland’s GDP is about trading with its own population. Our vision, ecologically, politically and economically, is to be a global player. Weta Digital is the world’s best special effects company. Wellington is the home of the least corrupt public service in the world. Wellington is the base for our most significant scientific players  NIWA, GNS, the International Centre of Excellence for Community Resilience, the Royal Society of NZ, Zealandia’s 500 year vision of ecological restoration, the National Plant Museum, the Malaghan Institute, the McDiarmid Institute and many more. We also claim the title of Events Capital. This year we won six out of ten events awards in the country. The New Zealand Festival, World of Wearable Art, Rugby Sevens, Chinese New Year, Diwali, Matariki and the Lux Festival of light are highlights in a packed events calendar. City Mayors: You recently travelled to Europe, North America and Singapore. While your trip was partly private, did you have opportunities to meet other mayors to discuss issues of mutual concern and came across innovative initiatives, which may also be introduced in Wellington? Mayor Wade-Brown: The first overseas travel was leading a civic delegation to Japan and China. I was delighted to work with the Mayor of Hiroshima to discuss how New Zealand’s nuclear-free and peacekeeping reputation can be harnessed. The Mayors and other representatives I met in Asia share my desire for low-carbon economies that satisfy the needs of our populations while restoring ecological health. Education, film and technology opportunities were the most obvious but electric bus technology and cultural exchanges are also on the near horizon. I was accompanied by secondary and tertiary education, arts and business representatives. The second visit was paid for completely by ourselves when my husband and I went to the West Coast of America and a number of European destinations. However, I met with a number of Council and business representatives and we are taking the next steps to become a sister city with San Francisco. Particular commonalities are earthquake resilience and engineering, film, IT and a generally liberal outlook. In Europe I met the Mayors of Warsaw and London and it was interesting to compare notes as capital Mayors. Boris Johnson certainly has a lot more individual power than most Mayors. Discussions of the diplomatic role of capital city mayors, electric transport (trams, buses, cars, bicycles) and the relationship between cities and nations ensued. City Mayors: You believe public transport in Wellington is too expensive. Indeed, a report shows that, while cycling and walking to work has become more popular, the use of public transport has stagnated. While Wellington leads the country in the use of environmentally sustainable forms of transport, the percentage of people using public transport, cycling or walking to work has only increased from 34.5 per cent in 2006 to 37.6 per cent last year in the region. How do you plan to convince more Wellingtonians and commuters from surrounding areas to switch from private to public transport? Mayor Wade-Brown: We have strongly encouraged the Greater Wellington Regional Council to keep fares down and this year they agreed not to increase them. We plan more bus lanes and an electric bus trial. 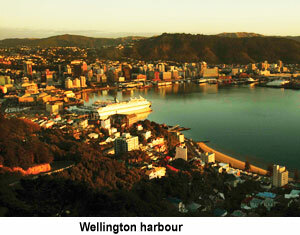 The statistics for Wellington City are very different from the rest of the region. Active modes have increased markedly for adult commuters and school students. 38% of primary students walk to school and 27% of Wellington city commuters walk to the central city. 28% take the bus, 6% the train and 4% cycle to work. Excellent stats! We have tripled our cycling budget and will upgrade our streetlights to make it even better to walk safely after dark or in early mornings. Public art, compactness and other people walking make us the most walkable city in Australasia. City Mayors: You also believe that housing in Wellington is too expensive. What plans does the city have to increase affordable housing for people on low pay? Mayor Wade-Brown: We are maintaining our own significant social housing portfolio and engaging our tenants in many ways. Earthquake strengthening, modernisation, insulation and people-centred design have turned our social housing from places of hopelessness to desirable homes. In addition we have called for expressions of interest in a modular approach to over 100 units to be redeveloped. This should produce innovative and affordable models that could be used by private developers too. • We support Dwell, a third sector housing provider. • We aim to work more closely with State Housing to renovate, mix and activate the sometimes monolithic estates they provide. • We have led a rental housing ‘Warrant of Fitness’ trial and I firmly believe that there should be minimum standards for landlords. • We also provide part funding for insulation, free energy checks and low-cost earthquake assessments. • We have agreed a number of special housing areas where development will be medium density, quicker and cheaper. This is part of our Housing Accord progress. City Mayors: Auckland Mayor Len Brown has claimed that ‘Super City Auckland’ has by and large been a success. However, many in Wellington are not convinced that the city, the seven other councils and the regional council that make up the Wellington region should adopt the Auckland model. A reduction in the number of councils would make more sense, it is argued. What is your position? 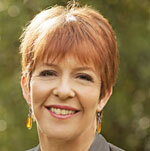 Mayor Wade-Brown: Miramar to Masterton is too large an area for a single Council. It would be twice the geographic area of Auckland. I’d certainly prefer one-tier local government, potentially with a unitary Wairarapa Council that focuses on its rural strengths while we have one or more urban authorities on the West of the Rimutaka mountain range. Setting up local boards could result in conflict with a super-council insulated from grassroots democracy. In the meanwhile, we are setting up a regional economic development agency which will include major events and tourism, streamlining three or more separate agencies. We have also brought water expertise from source to tap into a new water management agency while ensuring pricing, funding and ownership decisions remain with elected bodies. Big transport decisions are currently made on a less-than-democratic basis. While Wellington city is half the population, I only have one vote in ten on the Regional Transport Committee. Our statistics of reducing emissions, increasing active modes and reduced injuries in crashes are not always married by the other authorities. City Mayors: New York City’s most famous mayor Fiorello La Guardia once said “A Mayor who cannot look fifty or seventy years ahead is not worthy of being in City Hall.” How do you see the future of Wellington? Mayor Wade-Brown: Climate Change, technological change and demographic change are some of the fast-changing issues in front of us so it’s critical we are resilient and adaptable. We lead the way in social and building resilience for natural hazards like earthquakes and tsunami. The ingredients of a socially, economically and physically resilient city are clear, as is the human benefit from bringing nature into our daily lives. I aim for a city whose form enables active transport, whose infrastructure enables smart technology and whose heart includes people of all abilities and ethnicities. We want to be a child-friendly city and a smart capital. In the last decade we’ve improved our GDP per capita, increased our total population and decreased our total waste, water and greenhouse emissions. Our creativity and science, our arts and education, our physical and virtual advantages will make Wellington a world class leader in the next fifty years. Our vision is entitled “Towards 2040: Smart Capital”. This references the bicentenary of our bicultural Treaty that founded the relationship between indigenous Māori and later British arrivals and looks toward a multicultural future. The importance of culture and a sense of place are increasingly important in a globally mobile generation. 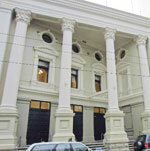 Therefore our investment in heritage buildings, to anchor our city’s memories is essential. Only by connecting with both the past and adapting to the future will people be attracted to this extraordinary southernmost Capital.